The front page of today's FT sported the headline, "Markets plunge on ECB loan fears", with €442bn worth of European Central Bank emergency one-year loans to the eurozone's ailing banking sector expiring today. Only a thought, but wouldn't it have been wise to carry out and publish the results of those stress tests before pulling the plug on a banking sector that is struggling with liquidity? Spain’s Finance Minister Elena Salgado, seems worried. "The ECB says it doesn't like governments telling it what to do. I simply say I hope on this occasion, as in others, the ECB will be aware of the needs of the Spanish financial system," she said. Banks have borrowed less of the three-month replacement loans than expected, which is an encouraging sign. However, as Robert Peston notes, "Eurozone banks are still on welfare support." The question is how many will go running back to the ECB or their governments after the EU's stress tests are carried out? Yes, it's that time of year again: the European Parliament has announced its ten nominations to receive the prestigious European Parliament LUX film prize. The LUX Prize (in Latin, lux means light), was established in 2007, as a tangible symbol of the European Parliament’s commitment to the European film industry and its creative endeavours. No matter what individual, historical or social issue it illustrates, each film in the LUX Prize Official Selection gives a glimpse of Europeans — their lives, their convictions, their doubts, and their quest for identity. Who possibly has the time and dedication to sift through at least 10 hours of films "providing insights into the debate on the EU integration process" we hear you cry. Well no need to worry because the films will be shown in the European Parliament's Brussels premises from 26 October to 19 November. MEPs will then vote for the winning film, and the 2010 LUX Prize will be awarded on 24 November by the President of the European Parliament in Strasbourg. The lucky winners will benefit from financial support to pay for subtitling in the 23 official languages of the EU, and for producing a 35 mm print for each EU Member State or supporting the subsequent DVD release. For some reason the press release neglects to tell us how much of the EP's €2.25m budget for the "Organisation of seminars, symposia and cultural activities" will be spent on this essential contribution to European culture. Those who worried that the Lisbon Treaty and the creation of a permanent EU president would sideline the rotating presidency held by national governments have been proved right. 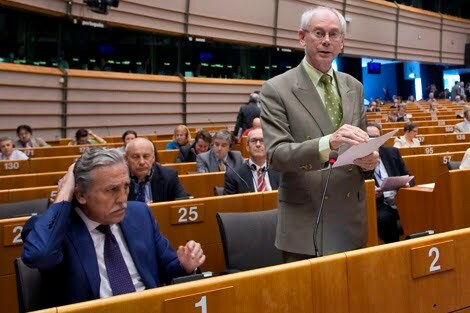 Spanish Daily El Mundo notes that during a speech in the European Parliament yesterday, neither President Herman Van Rompuy, nor President Barroso mentioned or thanked Spain’s EU Presidency for its role in last week’s European Council summit. It seems that even the fact that Van Rompuy sat next to Spaniard Diego Lopez Garrido (pictured on the left), the secretary of state for the EU, failed to remind the officials of Spain’s role. 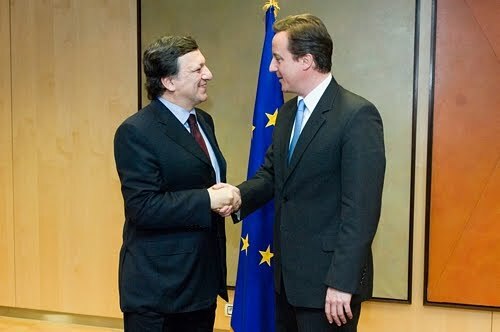 Barroso managed to find the time, however, to thank Catherine Ashton, the Parliament, the Commission, and the Council. There are a number of potential reasons for the omission. The incident could be part of a larger EU effort to avoid any discussion of Spain, hoping people will forget it may be the next eurozone domino to fall. Or perhaps it demonstrates that the Brussels elite have little time for national governments or that there are simply so many presidencies within the EU that it's becoming difficult to remember them all. While today's emergency budget in the UK provided many talking points for the media at large – it also provided new information for those with an interest in the UK’s ever-increasing contribution to the European budget *(courtesy of one T.Blair). Hopefully this graph should illustrate how sharply our contributions climbed last year, and will continue climbing until 2014/15 when the contribution will hit an estimated £10.3 billion – (no explanation as yet as to why it is then predicted to fall back in 2015/2016 as the contribution for that year is still to be negotiated - we suspect wishful thinking). In a decade, the UK's net contribution has therefore increased by around 230%. While our exasperation at the poor hand Tony Blair negotiated in the 2005 budget deal has been well-documented – these figures are further evidence of that legacy. As we move to contribute such increasingly vast sums to the EU budget, it should focus the Government, and the Commission, more than ever on obtaining real value for money. The EU wastes a great deal of money – it’s budget is bloated and its financial management controls are not up to scratch. This much is undeniably true. But if examples of ridiculous EU spending were met with indignation amongst citizens before, they will jar all the more resolutely from now on. Spending cuts and austerity measures are now the order of the day, and the order of tomorrow. But this new order has escaped Brussels - as Bruno Waterfield points out on his EUobserver blog. So the next time Jose Manuel Barroso, or any of the other EU elites, considers how best to win back public support for the European project, he might consider the public sector pay cuts in Ireland, or the VAT raises in the UK, or any of the other cuts around Europe, and think about how to reform the image that Brussels is bloated and isolated from the harsh realities in EU member states. And then he might actually do something about it. (i.e. publicly backing reform to wasteful EU policies like the CAP, ending some of the outrageously generous perks for lifetime EU civil servants, a pay freeze for those same civil servants, backing calls for an end to the travelling circus - the list can be made very long - further suggestions are welcome in the comments). Listening to EU leaders' calls for "economic governance", or gouvernement économique in French, you'd be forgiven to draw the conclusion that this is a done deal and the only question is when it will be launched. But not everyone is thrilled about this in Euroland. Wolfgang Franz, see photo), all of them government advisors. Europe doesn't need an economic government to save the Euro, but rather political and economic mechanisms that will effectively limit the public and private indebtedness of the member states. prolonging the bailout packages in their current form...To renew them would mean to contribute to further destabilisation of the Eurozone. The emergency packages entail a complete ransom by creditors who do not need to bear even part of the risks that they have created. They go on: "it would be a grave mistake to introduce common government bonds" saying that "These would perpetuate joint liability and ultimately destroy the institutional basis of a solid financial policy in Europe". Instead they propose "ten measures to save the euro", which mainly include recommendations to prevent debt figures from getting out of hand. 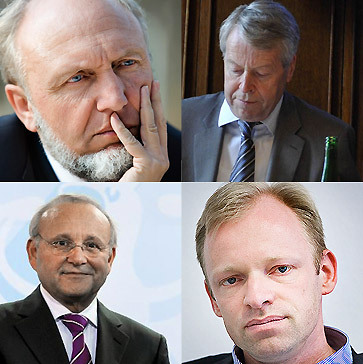 This followed a warning by Professor Charles Blankart, who last week warned against a Brussels "economic dictatorship" if the plans for economic government were pursued. And the new PM designate of Slovakia Iveta Radicova on Friday called the eurozone aid package "wrong, dangerous and the worst solution", indicating that the country might not chip in after all. The EU's Gouvernement économique is far from being fait accompli. The European Council’s conclusions have envisaged small steps, which sometimes are the most important. It is like a silent revolution – stronger economic governance made through small steps. Silent revolution through small steps? That sounds worryingly familiar. "After a semester of emergency summits, this Thursday the EU aspired to hold the most boring European Council possible: discussing no member States' bankruptcies, agreeing no multi-billion bailouts, ending talks at 6 pm - not at 6 am of the following day - and, above all, talking as little as possible about Spain". El Mundo summarises yesterday's summit. One of the more interesting aspects of EU politics at the moment is the crumbling Franco-German axis. The frictions between Nicolas Sarkozy and Angela Merkel – which are well documented by now - defined today’s EU summit in many ways . As we outline in a new report published yesterday, Sarkozy wants an ‘economic government’ for the 16 eurozone members (meaning more influence over the ECB and possibilities to put pressure on Germany to stimulate domestic demand), while Merkel is pushing for tougher budgetary rules, backed by sanctions, but want them done primarily at the level of all 27 member states - fearing the politicisation of monetary policy if France gets its way. Both the French and the German press seem to agree that Merkel now has the upper hand – and the conclusions from today’s Summit bears the Chancellor’s fingerprints. Sarkozy and Merkel seemed to reach an uneasy – and just about face-saving – compromise earlier in the week, saying that “The natural frame for economic governance is at 27.” They also agreed on the possible need for Treaty change to introduce tougher sanctions to underpin the stability pact. We are only at the beginning of the concept. Only four months ago, the words ‘economic governance’ were taboo. But the idea is progressing…The idea of economic government is not only about dealing with budgetary issues. It will allow us to put into place a strategy for competitiveness in several domains, such as research, social rights and universities. There will be sanctions for those who do not fulfill their commitments on debt. Fines are not the best solution. Together with Angela Merkel, we support the withdrawal of voting rights…Several countries want the sanctions to be the same for all member States […] Sanctions and obligations must be tougher for Eurozone countries. Not the strongest stuff ever to come out of Sarkozy, but it still shows that he’s probably not going to give up on his dream of a euro economic government just yet – and that a new grand bargain between the Germans and the French won’t be achieved so easily this time. David Cameron has today participated in his first EU summit and has secured a preliminary assurance (assurances are never quite for certain in EU politics) that Britain will not have to submit its national budget to the Commission before it goes to the UK Parliament. At the same time, sanctions for violating the Growth and Stability Pact will primarily apply to countries in the eurozone. The actual proposal for an ‘EU economic government’ (which some EU leaders still insist on calling it) won’t be tabled until October, so there’s still a bit to play for – particularly on whether some of these proposals will be based on Qualified Majority Voting (meaning no veto for Cameron) or unanimity. The Commission, which initiates the legislation, has arbitrarily changed legal basis before, so nothing is for sure. But this is definitely a fight that David Cameron can win – which is probably why the he chose to focus on it in the run-up to the summit. The draft conclusions (which helpfully are always available on the Danish Parliament’s website a few days before the Summit but still not through the UK Parliament - will that change now?) made this clear. As ever, managing expectations is key in politics. The pre-budget report, which is published in December in the UK, offers a convenient way out for the UK government and is the item that presumably will be ‘peer reviewed’ by the Commission and other national treasuries. In fact, this has turned out to be the most uneventful EU summit in years – the most exciting event appears to have been that Commission President Jose Manuel Barroso served Cameron an English breakfast in order to make him feel at home (was Fredrik Reinfeldt served Swedish oatmeal?). But remember, it’s been a very dramatic Spring and it’s hard to rival the drama of the “Super Weekend” back in May, when the ECB lost its independence and European taxpayers became liable for some €500 billion in eurozone bailout loans. You have to give Cameron and George Osborne credit though. They’re in a very awkward position, simultaneously having to maintain peace within the coalition, keeping their backbenchers at bay and convincing their European partners that they’re not the devil incarnate. So far they’ve managed that balancing act exceptionally well. How long that will last is a different matter – as Benedict Brogan points out in today’s Telegraph. 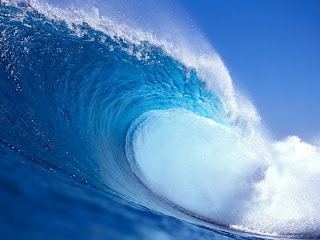 A number of run-ins are looming – the EU budget, UK taxpayers’ exposure to the bailout package and regulations to rein in the City. Under the surface, of course, there are issues in the summit conclusions that should worry the Cameron government. The conclusions call on EU leaders to adopt the AIFM Directive “before the summer”. As we’ve noted before, for various reasons, passing this directive in a flawed form would land a blow to the UK economy and national interest. This proposal gives three new EU supervisors the power to overrule national regulators on financial oversight and technical standards. The Council and European Parliament are currently working out the details in negotiations. The Council’s version is significant (and transfers some supervisory powers from the UK to Brussels) – but the European Parliament’s proposal is potentially dynamite. It would create an effective single European regulator, located in Frankfurt with the power to make decisions over the recapitalisation of banks, for instance. According to the proposal, the FSA would be an “agent” of this new supervisor - not the other way around. By any definition, this would mean a transfer of powers. It probably won’t be as bad as the EP’s draft but it will be very difficult for the UK to compltetly hold its position on these proposals – a legacy left by the previous Government. Indeed, there are many EU summits to go before the UK’s coalition experiment is over and they will certinaly be tougher than this one. Two weeks ago, in Merida (Spain), the UK’s new Agriculture Minister Caroline Spelman called for “reduction and re-orientation” of EU Common Agricultural Policy (CAP) spending. “We cannot leave aside the fact that Europe is without money”, she said. Unfortunately, Ms. Spelman’s demands seem not to have made it across the Pyrenees. In fact, last Tuesday in Strasbourg the European Parliament’s Committee on Agriculture and Rural Development endorsed a report on the future of CAP after 2013. Unsurprisingly, the report wasn’t exactly calling for fundamental reform of the CAP – MEPs remain staunch defenders of this wasteful policy. The text reads as follows: “To meet the new priorities and the expectations of all EU member States, the CAP budget amount needs to be at least maintained at 2013 levels in the context of the new financial perspectives”. You don’t need to be a seasoned Eurocrats to understand that “at least maintained” probably means “increased”. Now, this seems like business as usual – the UK is trying its best to reform a policy which is protectionist and 50 years out of date (and which still absorbs more than one third of the whole EU budget every year, despite the fact that less than 5% of Europeans work in the agricultural sector), with the usual suspects (the European Parliament, France, Spain, etc.) doing everything to stop such effort. Only thing is, this time the report was drafted by… a British Lib Dem MEP! 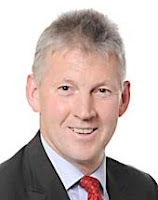 The MEP in question is George Lyon (see the picture above), representing Scotland. 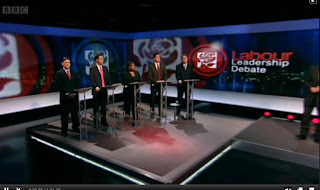 Newsnight featured the first televised hustings for the Labour leadership candidates last night - and it now turns out that none of them were ever particularly keen on us joining the euro. Or maybe it’s a case of a Nick Clegg-style change of heart now that it should be crystal clear to everyone that the economics and the politics of the single currency were shaky from the get-go. Diane Abbot’s answer was also refreshingly direct and (almost) free of tired platitudes – she even appeared to go so far as to suggest that the euro project was fundamentally flawed (without actually saying it of course), by suggesting that bringing disparate economies together and simply hoping they converge was never going to work. Ed Miliband said he wanted a "Europe of our values". Hmmm, what exactly does that mean? I wonder if Ed Miliband will be expanding where the Europe we currently have fails to meet his criterion of values - lack of transparency, accountability and democracy, perhaps? Paxo to David Miliband: You must be thrilled that Ed Balls kept us out of the euro? “...but it was difficult at the time because there were some on the pro-european side who said ‘to be pro-european, you must join’. I think the Financial Times and the Economist both said that, but in retrospect, it was right to say the pro-european, pro-growth, pro-jobs position was for Britain not to go in, because if we had it would have been an economic, and therefore a political catastrophe for us, and so the right, hard-headed decision to do was what we finally decided to do in the end." There is an interesting new poll in Le Monde today, showing that 62% of French people think that having the euro has aggravated the economic crisis in France. This is compared with 28% who think that it has protected France during the crisis - and 10% who said they were undecided. Increasing voter dissatisfaction with the euro has been on the rise for some time now - unhappy with the cost, and the principle, of the eurozone bailout which they were assured would never happen (along with all of those other assurances on the single currency which now lay by the wayside). For example, an FT/Harris poll back in March put the number of Germans who thought they would be better off outside the euro at 40%. Then a poll for Handelsblatt in May found that 44% of Germans wanted the D-Mark back, and 38% of the French wanted their national currency back. What's more - it's not just those locked inside the eurozone, but potential future members which are re-thinking their position. One year ago a poll for Swedish Television found that 47% of Swedes would vote Yes in a referendum on euro membership, and 45% would vote no - a very tight result. Yet in a new poll released just two weeks ago, opposition to joining had risen to 61%, with support for joining falling to 25%. Increasing German unhappiness at the eurozone bailout and unwillingness to continue as Europe's paymaster has been well documented in recent months. However, the addition of a rising French tide of displeasure at the way the euro has developed adds a new twist to the narrative that the Germans have been terribly seflish in showing reticence towards the cost of bailing out other euro member states - and one that may have far-reaching consequences. The winning party in the Dutch elections, the VVD, has some interesting things to say about the EU on its website. 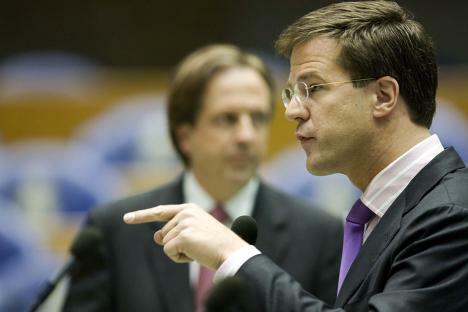 Its leader, Mark Rutte (pictured right) is favourite to become the country's new PM and may prove to be an interesting ally for EU reformers, depending on how much the VVD's rhetoric is watered down by coalition arrangements. The VVD doesn’t want a "European superstate". We want a Europe that functions. Therefore, we don’t need a Constitution, but an EU which limits itself to its core tasks and offers solutions for the 21st century. The solutions of the former century were about agriculture and regional subsidies. In this century it is about climate and energy, asylum and migration flows and fighting terrorism. Therefore we need to go back to what we have: the current Treaties (the Treaty of Nice). Pretty bold stuff - abolishing the Lisbon Treaty is something the UK's Conservatives wouldn't dream of posting on their website. The party is also committed to reducing the country's contribution to the EU budget, offering a "half price EU", with Rutte recently stating that he sees EU budget negotiations as "the crowbar for reform" and that the "whole system of structural and cohesion funds is largely circulation of money." He added, "Europe is not a kind of idealistic project. I'm not awake every morning with 27 stars and a European flag over my head. For me, Europe is a pragmatic project that gives us many benefits and should remain so." Rutte's comments illustrate that the UK media's obsession with portraying David Cameron as an outsider of the EU mainstream are a fallacy. Bar Rutte's opposition to EU expansion, there is a lot that a Conservative-led coalition government could work with here, particularly when it comes to the crucial budget negotiations that will begin in the near future. The U.S. Senate and German taxpayers have one thing in common: bail-out fatigue. Republican Senators recently kicked up some fuss over the U.S.'s contribution to the IMF-loans intended for Greece and potentially other eurozone countries. The Senators pushed through an amendment to the U.S.’s financial regulation bill which would direct the U.S. representative at the IMF to determine whether a country asking for IMF money is able to repay the institution. Under the amendment, if the representative believes the loan won’t be repaid because the borrowing country is too debt burdened (the threshold being 100% debt-to-GDP ratio) as is the case with Greece, the director would be forced to vote against the loan. The amendment sailed through the Senate unanimously (94 yay, 0 nay), giving an indication of how little appetite there is for even more bailouts in the U.S. Senator Cornyn, who introduced the bill, said, "American taxpayers have seen more bailouts than they can stomach, and the last thing they should have to worry about are their hard-earned tax dollars being used to rescue a foreign government. This will help prevent American taxpayer dollars from underwriting dysfunctional governments abroad." Both the comment and the amendment should be seen in the context of American politics - and the uncharacteristic bail-outs in the wake of the financial meltdown. But the Senator is also describing the democratic deficit inherent in the ongoing eurozone bailout - on both sides of the Atlantic. If the IMF bailout loans were put to a democratic referendum in the States, or if the Greek bail-out package was put to a public vote in Germany, they would certainly fail. But both will go ahead. In the US, the amendment itself may not survive another negotiating stage, since the Democrats in the House of Representatives (where they hold a majority) are against it. And even if the amendment passes, the U.S. can not unilaterally block the loan, since the decision will be made by majority in the IMF and therefore the U.S. doesn't have a veto (the US share of the loans is currently estimated at 10-20%). Of course, this type of scenario has now become business-as-usual for European taxpayers and voters. An interesting article in Die Welt today takes a look at how French Europe Minister Pierre Lellouche has broken a long standing taboo (shock horror) by openly criticising an EU body. The story begins in a Norman Rockwell-esque fashion – with Lellouche “seated in a conference room at the EU Fundamental Rights Agency (Vienna) listening to zealous officials, nodding from time to time”, but then goes on to describe him as “fuming with rage”. Why the rage? Well, the article explains, an additional five of these EU agencies are to be launched by 2011, which will bring the total number of such agencies to 32. Additionally, between 2005 and 2009 the overall budget for these agencies has doubled – with them costing €579 million in total. The number of employees in these agencies has also shot up, from 2,415 to 3,878 over the same period. Some of these agencies are perhaps useful, but it is rather amusing that the Germans are so familiar with the concept of being ‘sick of too many agencies’, that it has entered the popular lexicon as “Agenturitis”. 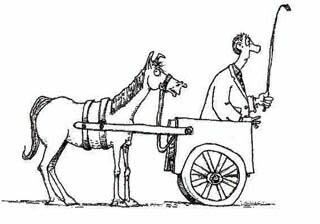 But, like the utterly pointless Committee of the Regions, it seems attention is turning to the usefulness of some of these EU institutions and agencies. Apart from a chronic desire to create new agency bodies – what are the other symptoms of Agenturiris? Apparently, lack of transparency in workings and expenditure, lack of control, and lack of cooperation…sounds entirely possible in the EU. Quite interesting and important comments made yesterday by the former Spanish PM José Maria Aznar. He blasted EU leaders' response to the Greek crisis, telling Le Figaro that “it has been a mistake to rule out the restructuring of Greek debt under IMF control. We might have used part of the enormous capital made available by the EU to recapitalise banks. Yet, we have preferred conveying the message that we will not let any Eurozone member go bankrupt, without realising that there are huge differences among countries. A bailout for Greece was feasible, but it would be impossible for a country like Spain. Spain’s bankruptcy would provoke the collapse of the euro, and probably of the EU." Proponents of bailing out Greece have frequently suggested that a restructuring would pose a threat to Europe's fragile banking system. Aznar simply makes the case that if you want to save the banks, it would be better to do it directly. However, his claim that a Spanish default, and accompanying collapse of the single currency, would probably lead to the "collapse of the EU" is not completely credible and use of such language seems to be more frequently used to instill a sense of fear of apocalyptic scenarios, should the euro collapse, in order to paper over any concerns citizens might have over the moral hazard of the eurozone bailout. For one thing, everybody can imagine an EU without a single currency, as this is what we all had until 1999 and is still the reality for 11 of the 27 EU countries. Perhaps what he meant was that the project of a federal Europe might collapse. One last element in the interview is worth commenting on. Aznar suggests that "national stability pacts" would be part of the solution to save the Euro. But that beggars the question: would this have helped Spain? The country has more or less respected the stability pact over recent years, and yet it is in trouble. ECB interest rates adapted to slow-growing countries like Germany and its neighbours were too low for fast-growing countries such as Spain, and fuelled a real estate boom and bust there. Spain’s problems have nothing to do with irresponsible Spanish budgetary policy, as was the case in Greece, but are intertwined with monetary union. More budgetary supervision, which the EU has been touting, is therefore not going to help. It will come down to transfers between richer eurozone states, and those struggling with their legacies of budget deficits. Good luck telling that to voters. The Bundesbank isn't exactly happy about the ECB's decision to start bying government bonds directly from banks - effectively making the once heralded 'independent' bank a dumping ground for bad eurozone loans. The ECB has bought some €25 billion worth of Greek bonds so far. Spiegel reported over the weekend that Bundesbank officials have openly expressed their suspicions that the entire operation is a French stitch-up - a way for French banks to unload their Greek junk bonds. German banks aren't benefiting from the move since they've promised the German Finance Ministry to keep Greek bonds until May 2013. One high ranking official is cited by the magazine suggesting that ECB President Jean-Claude Trichet, a French national, gave into pressure from French President Nicolas Sarkozy to change the ECB's stance opposing the purchase of member state governments' bonds - hence the conspiracy charge. The ECB and the Bundesbank appear to be drifting further apart. Or as Le Monde puts it today, "A perfume of divorce is floating between the Germans and the ECB". 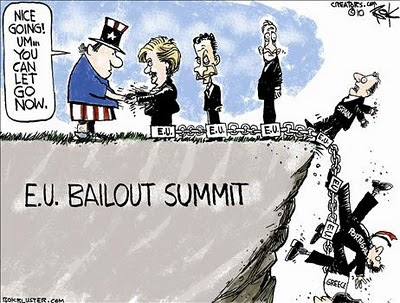 A worryingly perceptive take on the EU's sovereign debt crisis, viewed from the US.